Create interactive content that includes images, videos, webpages and even third party Android applications using our user-friendly tools, without ever needing to write a line of code! Our Touch Screen CMS software is specifically designed to be used with the Touch Screens and media players that we manufacture; providing an all-in-one integrated solution. 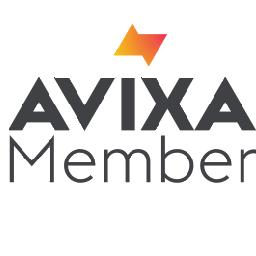 Stable, dependable performance 24 hours a day, 7 days a week that even runs and can be updated while offline. When changes are made the Touch Screen or player will only download new files, not the entire content. Using a wide range of Touch Screens and media players you can scale any project with absolute confidence. You can even integrate third party software via an APK or live URL. No need to install software to your PC or have your own dedicated server, our cloud-based Touch Screen CMS portal can be accessed instantly from anywhere in the world. The hardware will download the media files that you publish to the Touch Screens and store them on the internal memory, meaning that even if the screen or player is not connected to the internet it will display the correct content. Design your own layouts in any orientation, with different zones for your images, videos, text and live webpages. You can upload your own background image which includes all of the interactive artwork or create separate images for buttons. You can incorporate third party Android applications into your touch content. This means at the touch of a button you can launch an existing application while your content continues to run in the background. Create buttons within your Touch Playlist to activate a host of actions including jumping to another page, launching a full screen webpage, launching a full screen Android application, playing a video or image or even jumping to a separate Touch Playlist. Create interactive video galleries or image slideshows. Give your image slideshow extra vibrancy by choosing from 24 different animation styles to transition between images. If you want to deliver more 'live' updates on your screen you can use an RSS feed on the screensaver for the latest news or any live up to the minute feeds. If you want your screen to have a non-interactive screensaver you can. This can be the same Playlist all year round or you can schedule different content to display at different times of the day, week, month or year. You can preview content before sending it to your screens or players to make sure it looks as you want it to and the buttons act correctly. Our system allows you to incorporate existing Android apps into your content for ultimate flexibility. 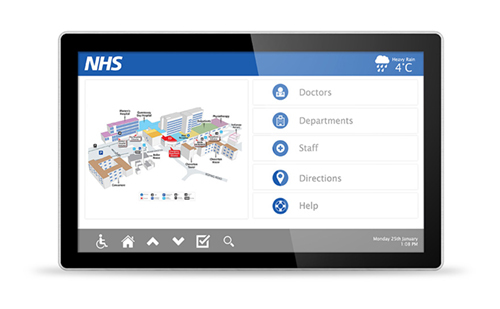 If you primarily wanted to use the Touch Screen with an existing third party app then you can use the Touch Screen CMS as a front end to launch the app as well as providing remote updates, management and monitoring of the connectivity. You can also integrate gaming applications into your interactive playlists for applications such as waiting room kiosks. The possibilities of interactivity are endless by adding webpages to your layouts. 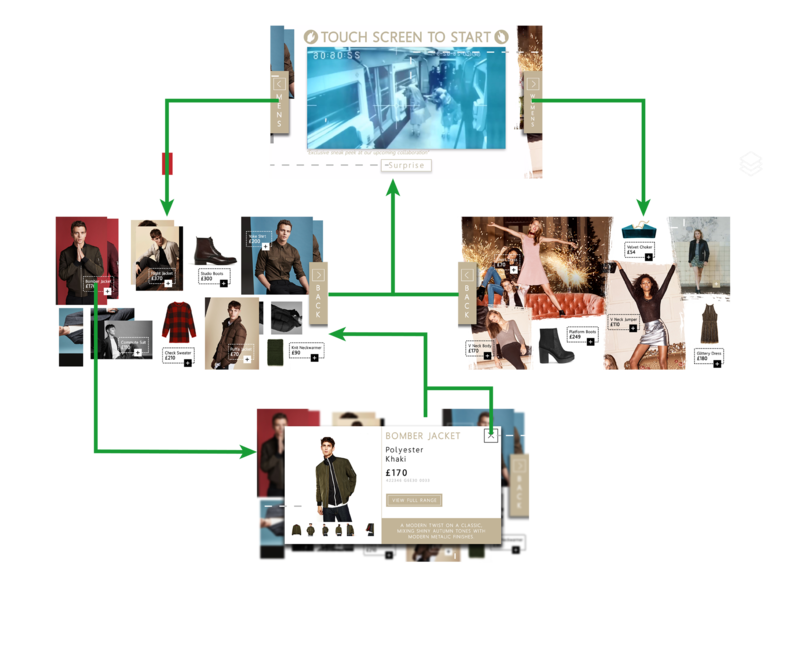 As well as displaying interactive social media feeds and company websites you can also use this feature for data capture forms and e-commerce platforms so that in-store purchases can be made. Webpages can be displayed in full screen or as part of a layout alongside images, videos and scrolling text. As the hardware and software have been designed and developed to work in conjunction with one another you can achieve ultimate real-time control. As well as being able to update the screen remotely over the internet you can also send commands to stop and start content playback, adjust the volume of the screen and send screenshots to see exactly what is playing on screen at any time. As well as being able to publish interactive content you can also publish a standard non-touch playlist to play as a screensaver. 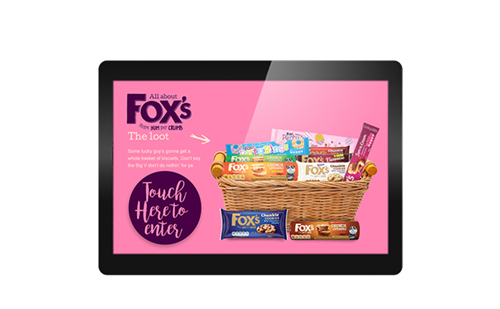 Screensavers are great for creating a “call-to-action” - indicating to passing customers that the screen is interactive by have a “touch screen to start” message. You can set a time out period at which point the screensaver playlist will lunch or you can choose for the touch playlist to return to the “home” page. Robust giant tablet styling with tempered edge-to-edge glass, rounded corners, steel enclosure, super slim profile and aluminium surround. 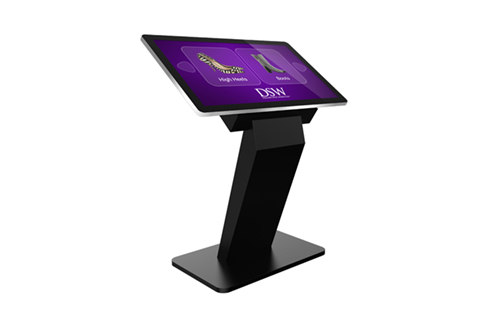 Ideal for kiosk integration or wall mounting. 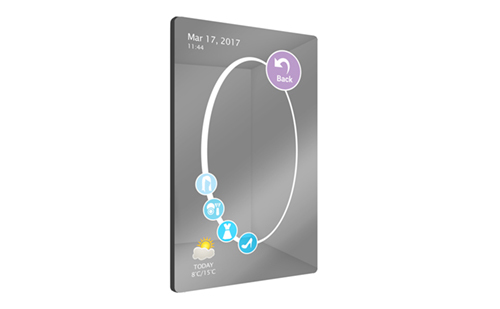 Interactive mirror with tempered edge-to-edge glass, rounded corners, steel enclosure, super slim profile and aluminium surround. Ideal for retail fashion applications. 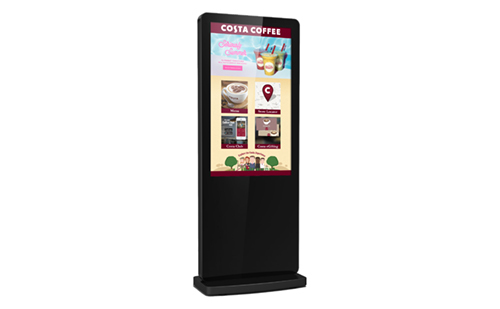 Complete all-in-one freestanding kiosk solution, giant tablet styling with tempered edge-to-edge glass, rounded corners, steel enclosure and aluminium surround. 43” and 50” versions can be portrait or landscape. 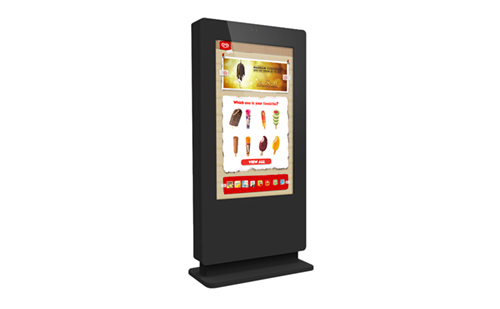 Complete all-in-one freestanding interactive poster solution. 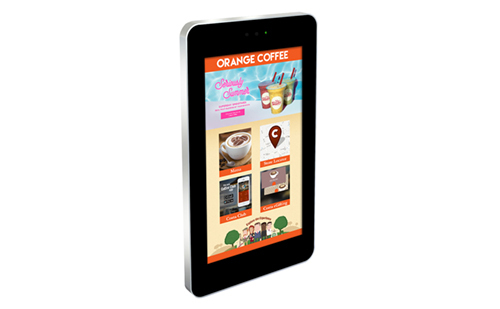 Robust Infrared touch screen technology, idea for commercial spaces. 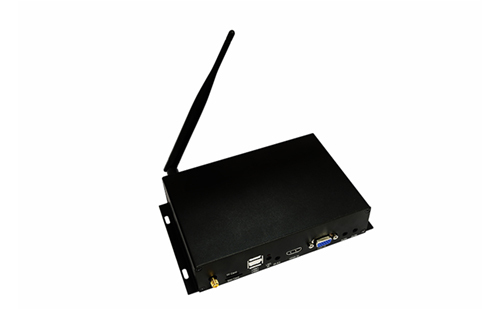 Connect to existing touch screen via HDMI or VGA and USB for interactivity.